Bee Wilson was a food critic of England’s New Statesman for five years, and now writes a weekly column for The Sunday Telegraph. 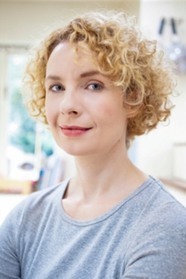 She was named Food Journalist of the Year in 2004 by the Guild of Food Writers for her column, two years after being named BBC Radio 4 Food Writer of the Year. She recently completed a research fellowship in the History of Ideas at St. John’s College, Cambridge. She is married with two children, and The Hive is her first book.